A symposium to review and discuss the results of a comprehensive three-year scientific study assessing the ecological health of Barnegat Bay is scheduled for Tuesday, November 17 at Ocean County College, Commissioner Bob Martin announced yesterday. 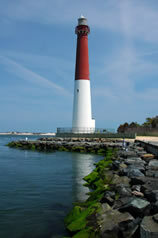 The public can hear the results of the studies and how the information will be used when the DEP and the Barnegat Bay Partnership host “What Lies Beneath – Barnegat Bay: A Public Outreach Forum” from 9:00 a.m. to 3:30 p.m. in the Gateway Building, Lecture Hall Room 104, at Ocean County College on College Drive in Toms River. Registration is required to attend the free event.